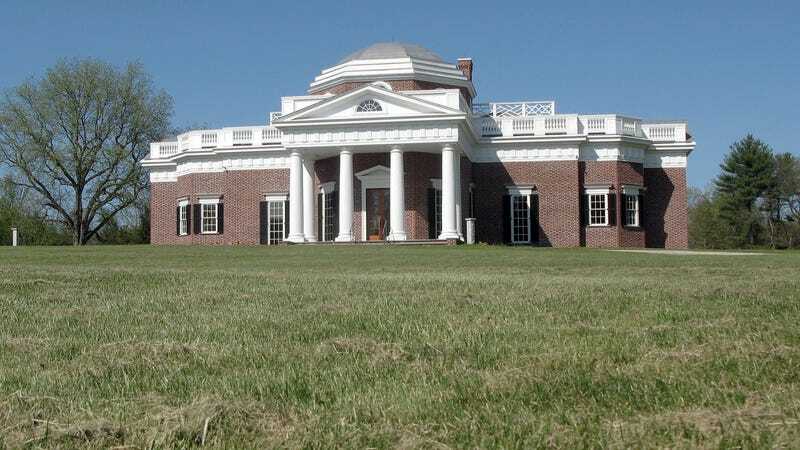 Are you in the market for a replica of Thomas Jefferson’s Monticello, for some reason? Then you’ve got until tomorrow evening to score an invite to an exclusive auction in Somers, Connecticut. Bring a few mil. The co-founder of the Springfield, Massachusetts-based Friendly’s restaurant chain had the house built for $7.7 million in 2014 ahead of his 100th birthday. No one has ever lived in the home, and it failed to sell for a reduced listing price of $4.9 million. S. Prestley Blake had the home built because he’s a fan of Jefferson. “Happy birthday to me! !” — The cofounder of Friendly’s while building a replica of Monticello. MassLive has more details. Apparently, Blake never intended to live in the house, and he didn’t expect to get his money back. The centenarian’s aims were different—more public-minded. Blake, now 101 years old and an admirer of Jefferson since boyhood, built the home as a tribute and as a gift to the community. Blake had always planned never to live in it but to sell it in hopes of attracting a philanthropist who would be an asset to the community. He always knew he’d never be able to sell it for what he invested in it. While the outside is a scrupulous recreation right down to the handmade bricks, “Inside, it’s a modern luxury home with 10,000 square feet of living space complete with a three-car garage and nine bathrooms, most with walk-in showers done in custom tile.” The ice cream business apparently pays very well.